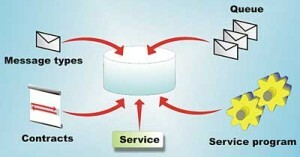 Setup service broker between two databases in SQL Server. My earlier article “Service Broker implementation between two tables in one database” explained how to setup service broker between two table in one database. Today I am explaining how to setup service broker between two tables resides in two different databases in one SQL Server instance. 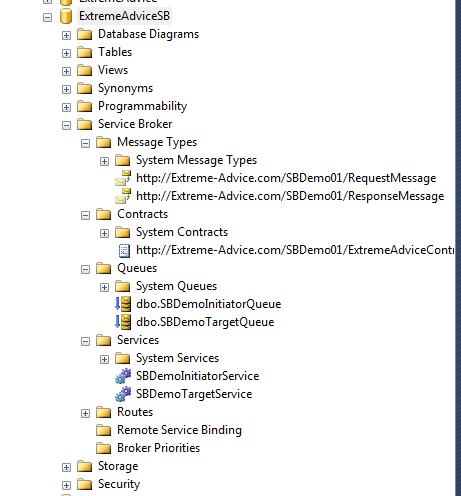 I will be using the same table, queues, contracts, services and message types given in “Service Broker implementation between two tables in one database” article so if you have not read this article, I would recommend to take a look there once. 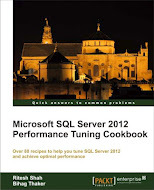 Creating two different databases in one SQL Server 2012 instance. Let us now create basic architecture of service broker like message type, contract, queue and services in both databases ExtremeAdviceSBMain & ExtremeAdviceSBReceiver (target and initiator). Please note that I have used the same service broker object I have used in earlier article. We may eliminate few things but I will cover it up later on. Now we will create two tables. One table in initiator database which is OrderDetail. Sales person will generate sales order and data will falls under that table. If sales person inserting duplicate order, it will caught by trigger and will be inserted in OrderHistory table. For more detail about this concept, have a look at my earlier article. Now we will create main logic which will send and process original message along with trigger on OrderDetail table which will activate service broker as soon as new record inserted in OrderDetail table. Once you are ready with this structure, you are all set to go. Let us insert one record in OrderDetail table. Since we have not inserted any duplicate records yet, we won’t get any record in OrderHistory table. Let us inserting duplicate record in OrderDetail table. We, now, suppose to get record in OrderHistory table but unfortunately we won’t get it. There are two possibilities that either our initiator queue doesn’t have sent message to target or target have received the record but it has not processed it. Right???? Let us check it. You can see that our “OrderTargetQueue” has record to process. Then question is why it has not processed? Well, we have had Trigger on OrderDetail table which has activated our initiator queue and hence record reached to target queue but target queue has not been activated and hence it has not processed target message. We can process message with following SP either manually or by sql server job as we have not activate it automatically. Now let us see whether record is processed or not. You can see “OrderTargetQueue”has not record now as our message is processed and you can also see the entry in “OrderHistory” table also as we had one duplicate record. Still “OrderInitiatorQueue” has record to process. You can see that it is just a blank message for end dialog with “OK” status which has sent back by target queue after processing messages. We can run following SP to process end dialog in initiator queue. I will shortly come up with article which will run full service broker cycle by its own without manual interaction. This entry was posted in Service Broker and tagged Initiator Queue, Message Type, Service, Service Broker, SQL Server, Target Queue on February 27, 2013 by Riteshshah.